It's time for more of your nugget distribution and rarity math lesson. Although the data herein is based primarily on Australian nugget recoveries, even the Aussies believe (as I also do) that their data can be applied to estimating nugget distribution globally with one proviso: gold nugget recoveries Down Under have been both larger in size and more prolific overall. Again, I urge you to read my previous post to gain an understanding of the basic parameters governing this distribution math. With that said, let's move on. Here's a statement of fact for your consideration: gold nuggets are rarer than diamonds. This remains true even if only gem-quality diamonds are factored into the mix. Industrial diamonds represent about half of all diamond finds and the world's total diamond production is around 20-plus tons annually. So, 10 tons are of gem quality and the rest are used in various industries throughout the world. Once the smoke clears from the math data when comparing diamonds and gold nuggets the result is that nuggets are at least 10-times rarer than diamonds! Go figure. Part of the reason for this difference in rarity and distribution is that diamond mining has increased gradually decade-by-decade since the start of the 20th Century (and more diamonds recovered) while gold mining has declined during the same period (with fewer nuggets recovered). 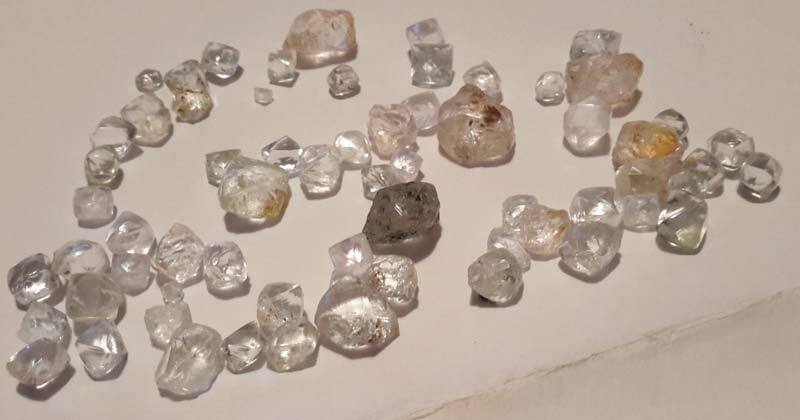 Additionally, while so-called "virgin" nugget ground is a limited resource diamond mines tend to expand with deeper and broader operations. Finally, perhaps the biggest reason nuggets are rarer than diamonds is the simple fact that prior to the 1980s-1990s most gold nuggets (including many of exceptional size and weight) were melted down for simple bullion value. Gem-quality diamonds, on the other hand are "forever." 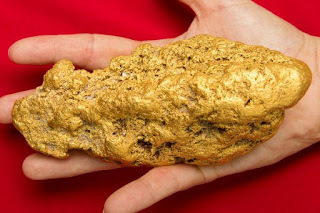 So as we get into the actual mathematics of gold nugget distribution and rarity let me repeat some basic common sense: larger gold nuggets are rarer than smaller ones. As you will see, the distribution math for gold nuggets bears this fact out. You can readily see there is a steady mathematical progression or pattern here in terms of weight. But when nuggets under two grams are factored in, this data-driven pattern begins to break down. The reason for this is that all nuggets under two grams (including those "BB" or matchhead-sized ones) are more apt to be "re-dissolved" as the Aussies put it. In other words, they are more likely to be worn down into "chunkers," large flakes, smaller flakes, and finally...fine gold. (Even in a "virgin" patch of ground.) Smaller nuggets are also less likely to be recovered in many instances due to their much smaller size and weight. Note: Even though we're talking about "virgin" ground here, if you want proof of the fact that many small nuggets get bypassed, try working old wet or dry placer tailings (the coarse ones) from earlier placer operations. I found my first nugget this way. 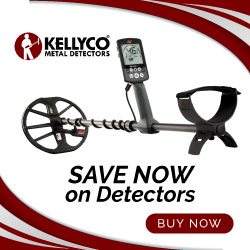 To carry this theme a bit farther, nuggets under two grams are also harder to detect with a gold detector (i.e., nugget hunting). Finally, nugget distribution math data suggests that a full 50% of the nuggets found in "virgin" ground weigh more than two grams. Here's a final point to consider when looking at nugget distribution in "virgin" ground: This mathematical progression of nugget distribution can be multiplied or subtracted based on the relative richness of a given piece of "virgin" ground. However, this nugget projection holds true mathematically regardless. So there you have it. Whatever the case, it can be debated that any of the sciences (including mathematics) are not exact by their nature. But as far as the sciences go, math is the least subjective. That needs to be a consideration here. I don't know about you, but my analytical mind found all of this highly interesting. Yes it is very interesting. 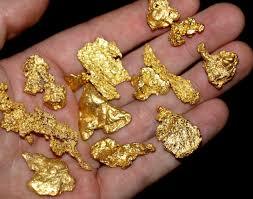 I never did well in math class, but if they had used gold nuggets to teach me, I might have figured it out! Ha! That X plus Y equals M stuff makes no sense in my mind! Good point Gary. Many Aussie nugget finds are (were) in the Outback under very dry conditions overall.